The UAW corruption cases are casting a shadow over the upcoming contract talks. 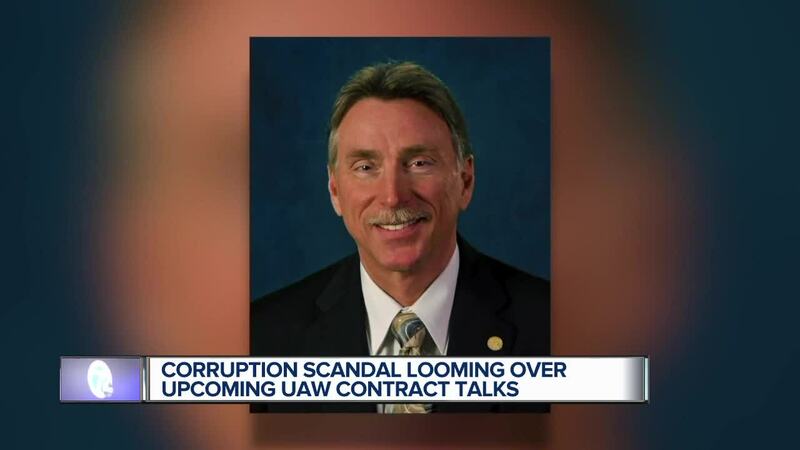 DETROIT (WXYZ) — Former United Auto Workers Vice President Norwood Jewell is scheduled for an arraignment and plea hearing tomorrow in Federal Court in Detroit. The stage is set for him to plead guilty to one count of violating a Federal labor law. He’s not charged with bribery or corruption. Jewell is expected to make an allocution where he tells the judge what he did and Jewell could outline more corruption. The feds spelled out how Jewell’s case centers on the Fiat Chrysler UAW Training Center in Warren. That money from the center was used for lavish group meals and gold in California. During the last contract talks between FCA and the UAW in 2015, the first tentative agreement was voted down by the workers. Many believe FCA got a better deal by greasing the union officials. Several have pleaded guilty in the corruption case. So have workers today at the Warren Chrysler Truck Plant lost confidence in the talks coming up this year? “We haven’t had a lot of confidence in a long time,” one worker said. Jewell could get up to 5 years in prison. His defense attorney is expected to ask for supervised release.